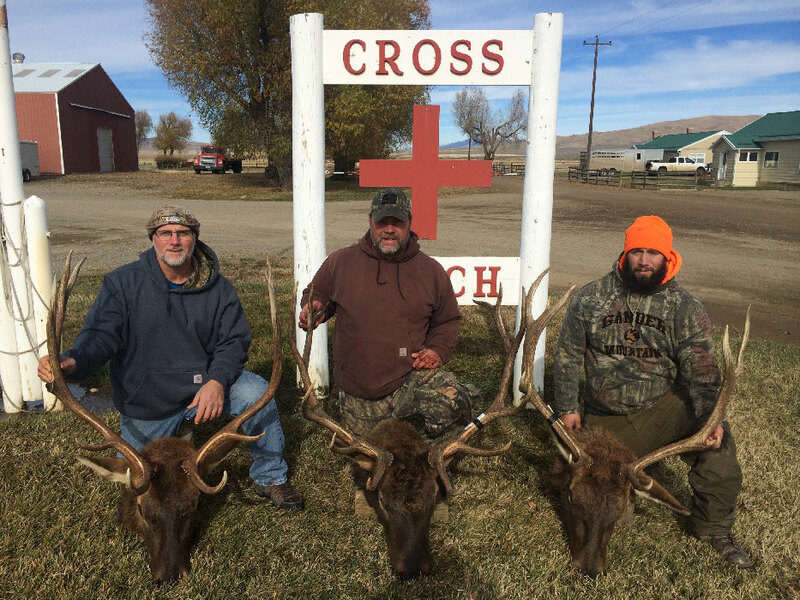 Our hunts are fair chase with no additional trophy fees. 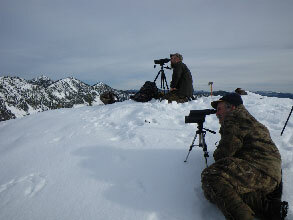 We work hard to give you the best opportunity possible. 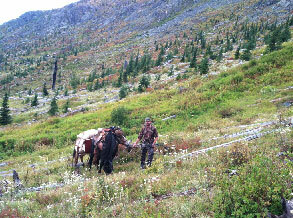 We use horses on most of our hunts to access the more remote areas of the Kootenai National Forest. 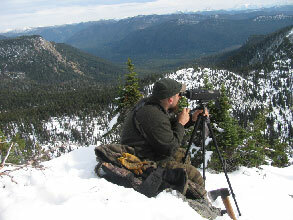 This allows us to cover more ground and increase our chance for success. 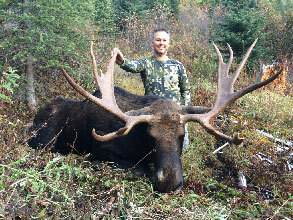 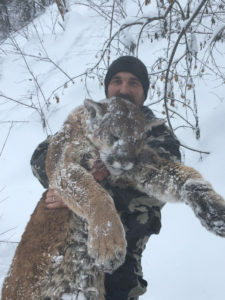 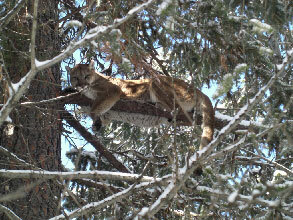 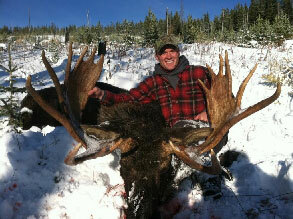 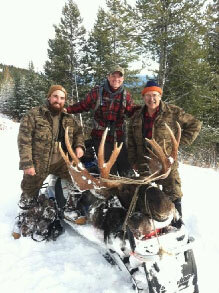 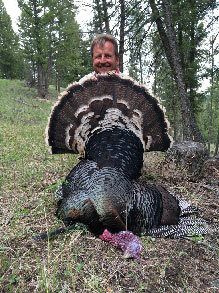 It is also a great way to enjoy a little bit of Montana’s tradition while hunting in the Big Sky State. 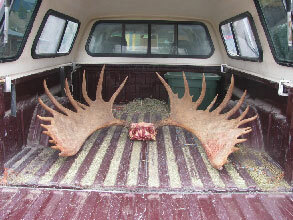 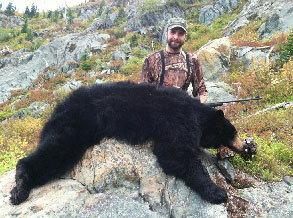 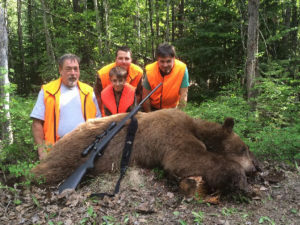 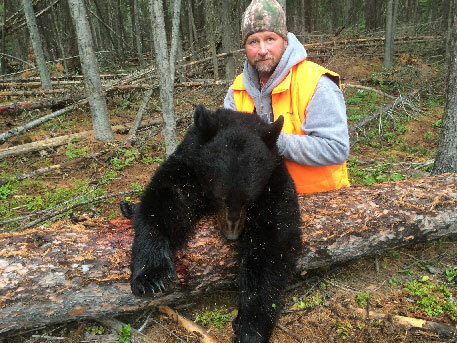 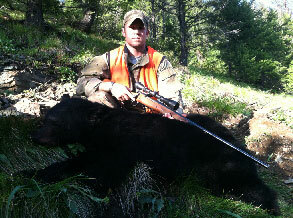 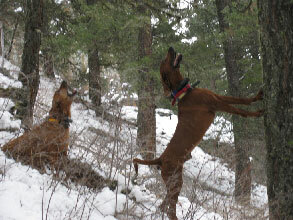 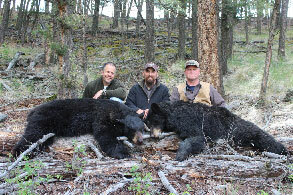 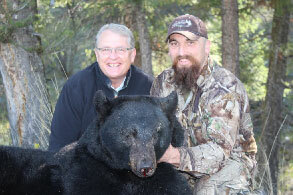 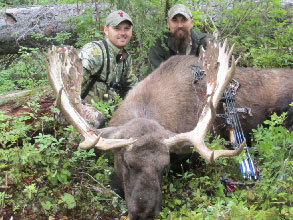 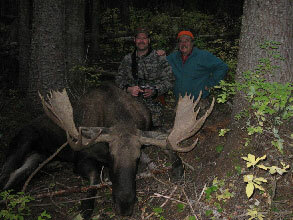 Our spring bear hunts are fair chase and lots of fun. 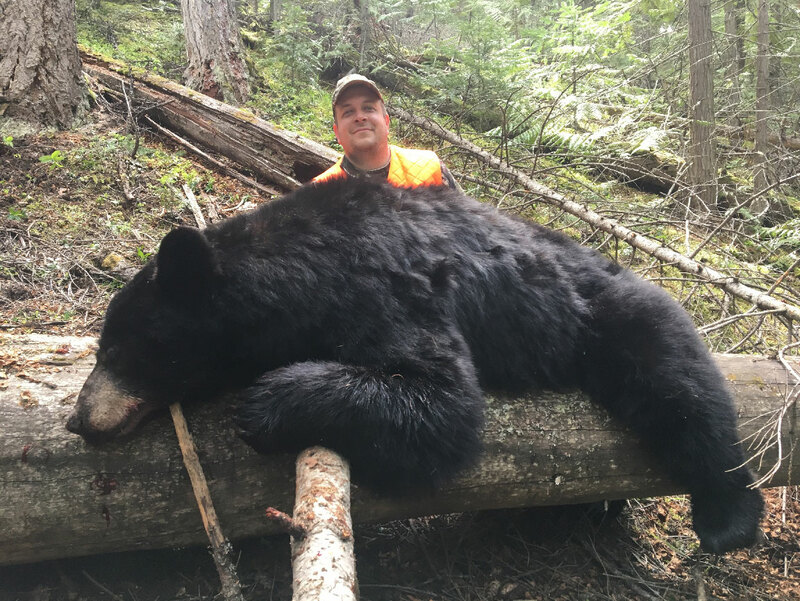 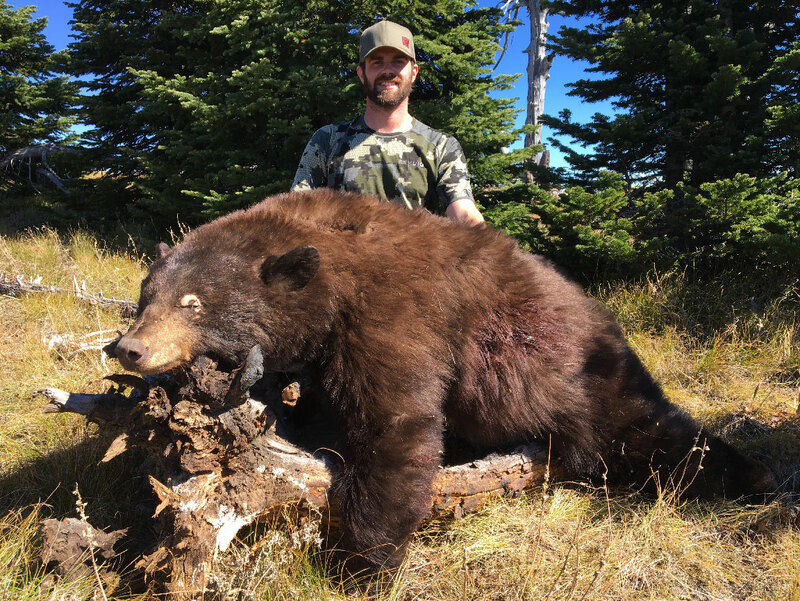 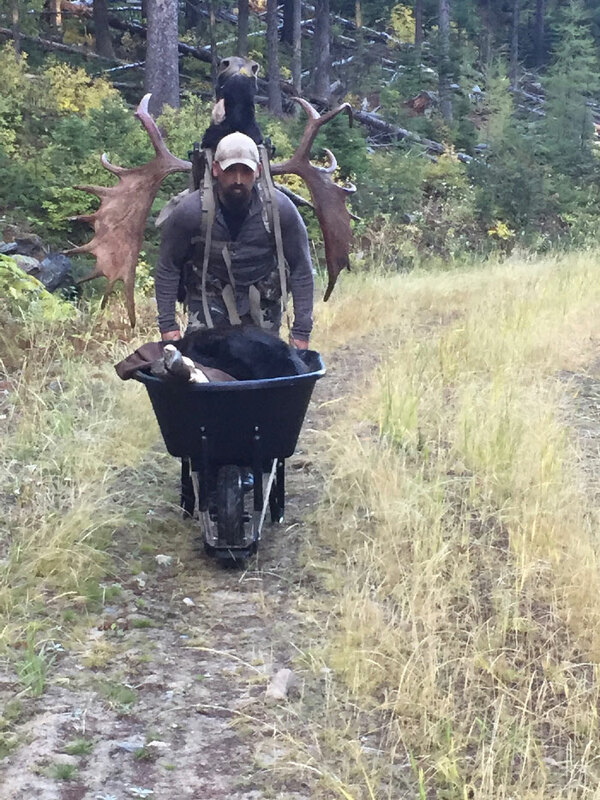 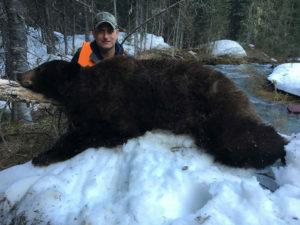 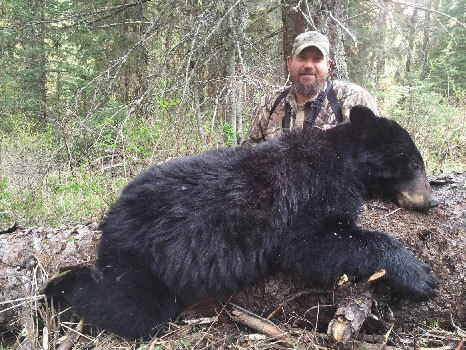 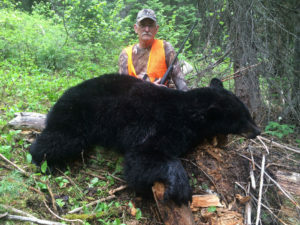 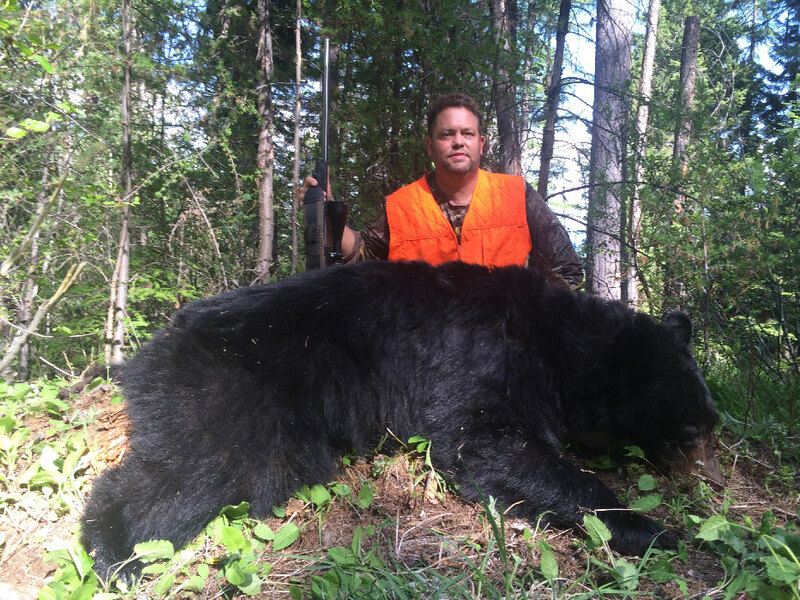 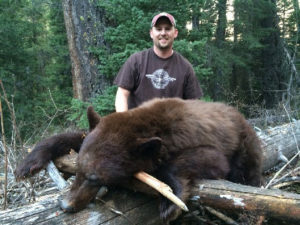 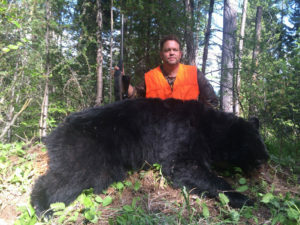 Montana’s bear season puts you in the woods as the snow melts and the bears start moving. 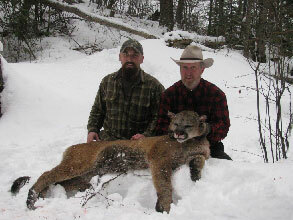 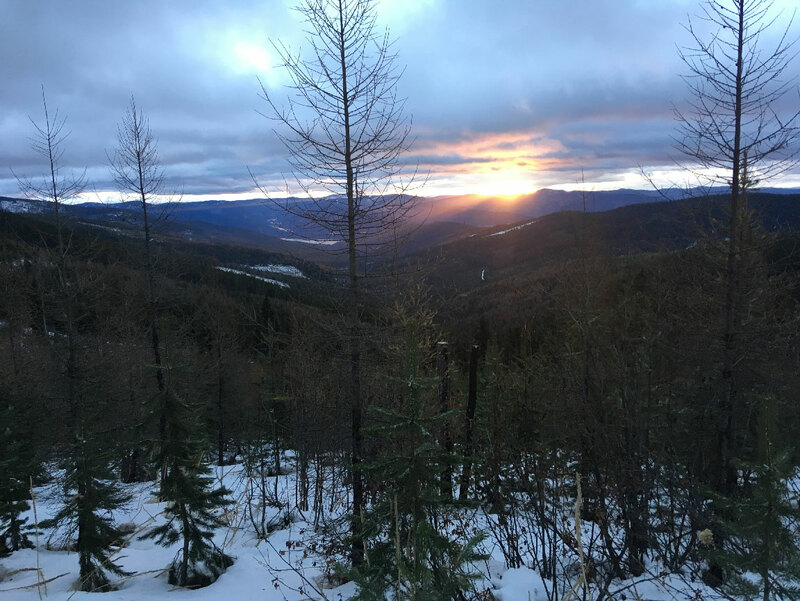 Our hunts primarily consist of spot and stalk methods in big open slides and old logging areas. 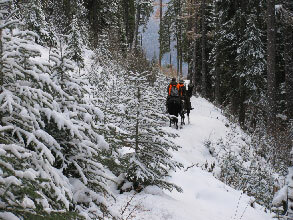 We use everything from snowmobiles to horses depending on the snow levels and weather conditions. 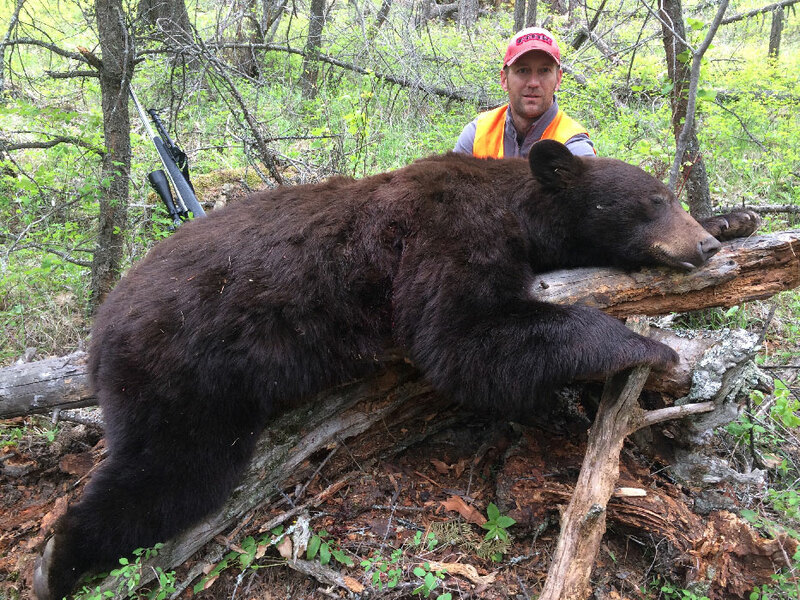 Our area produces a high percentage of color phase bears. 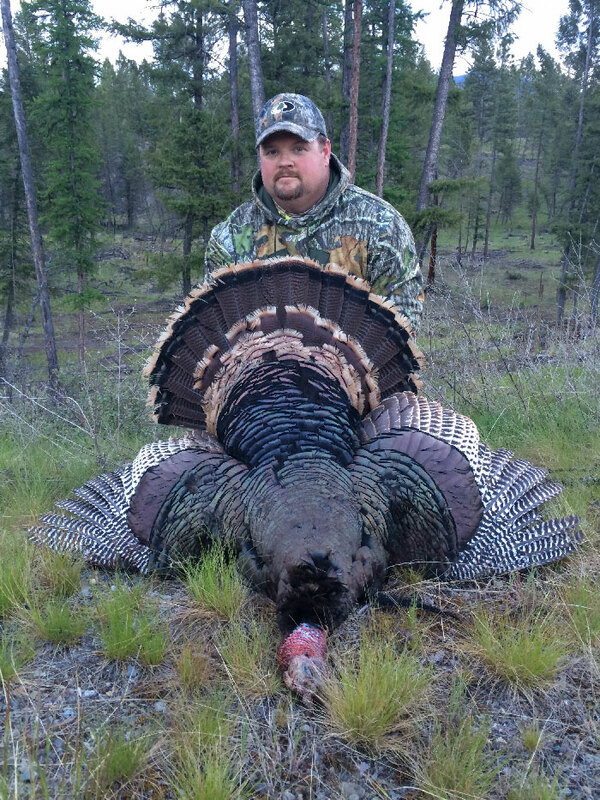 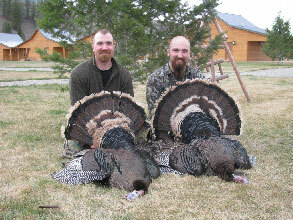 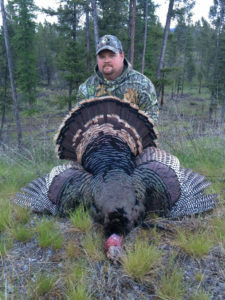 We offer a combo hunt with Merriam’s Turkey during the first two weeks of May. 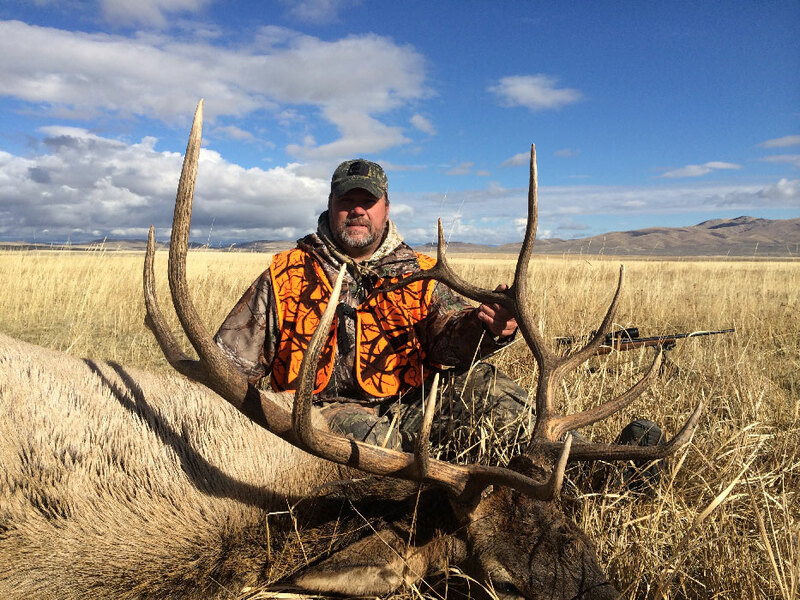 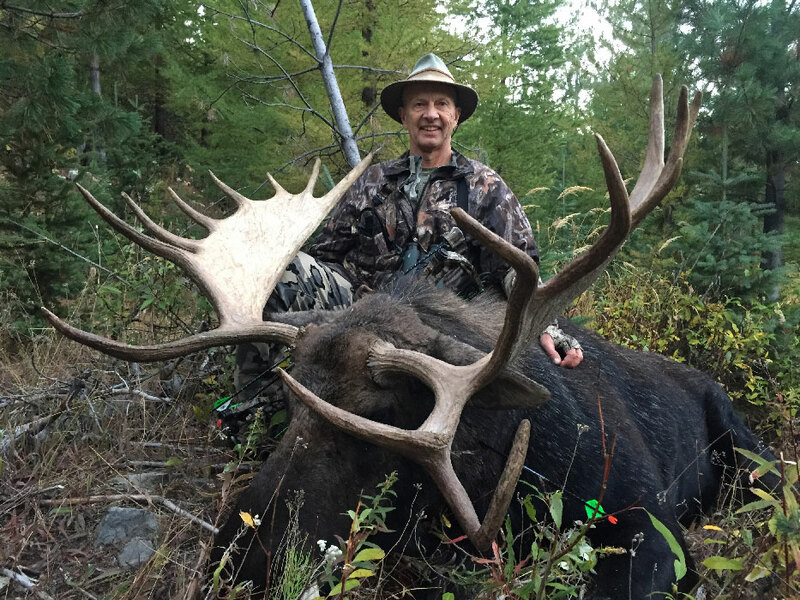 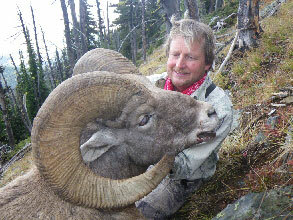 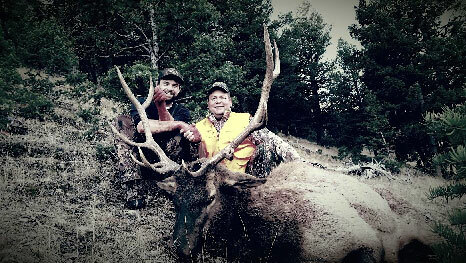 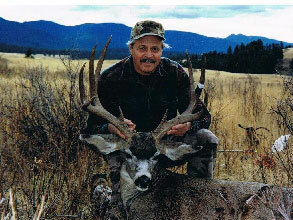 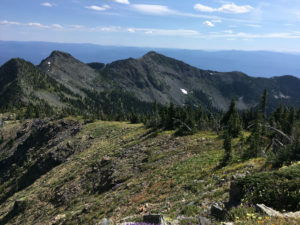 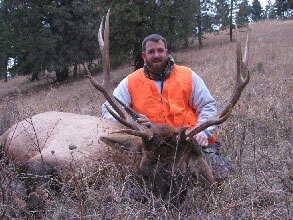 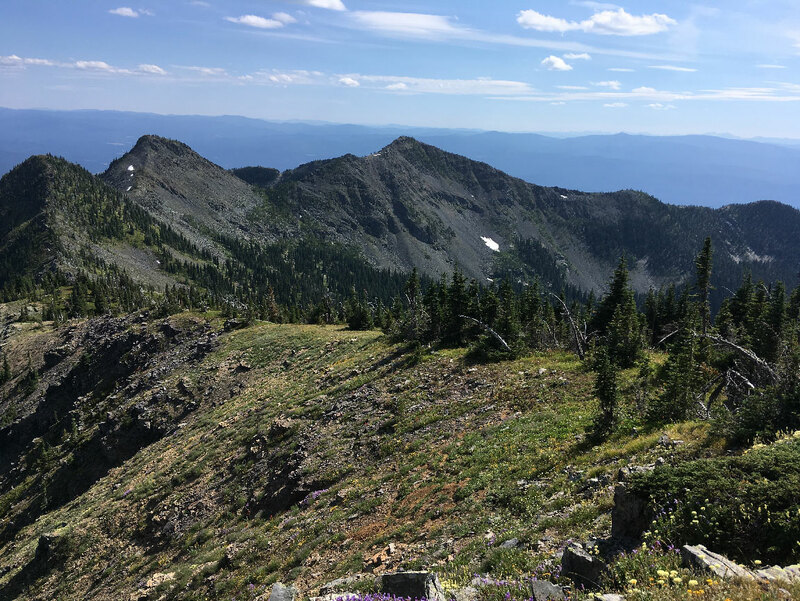 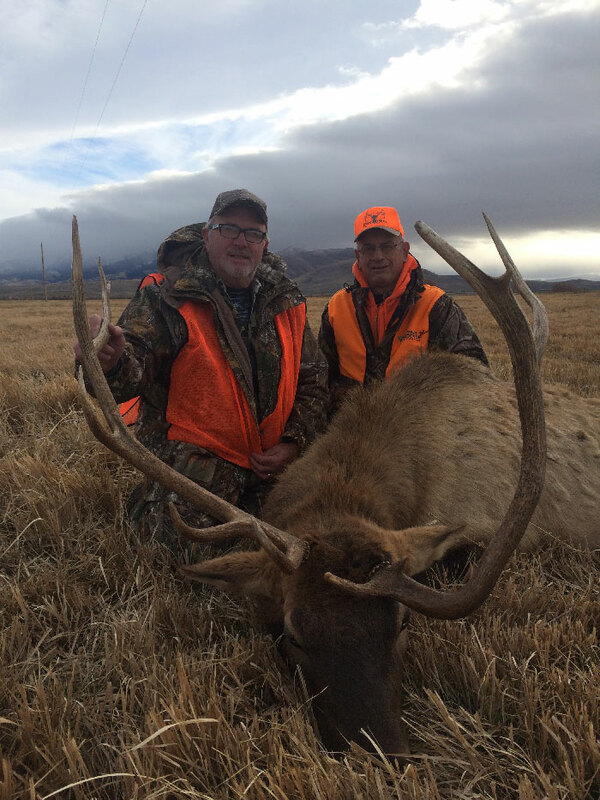 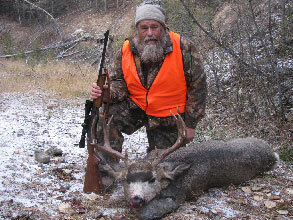 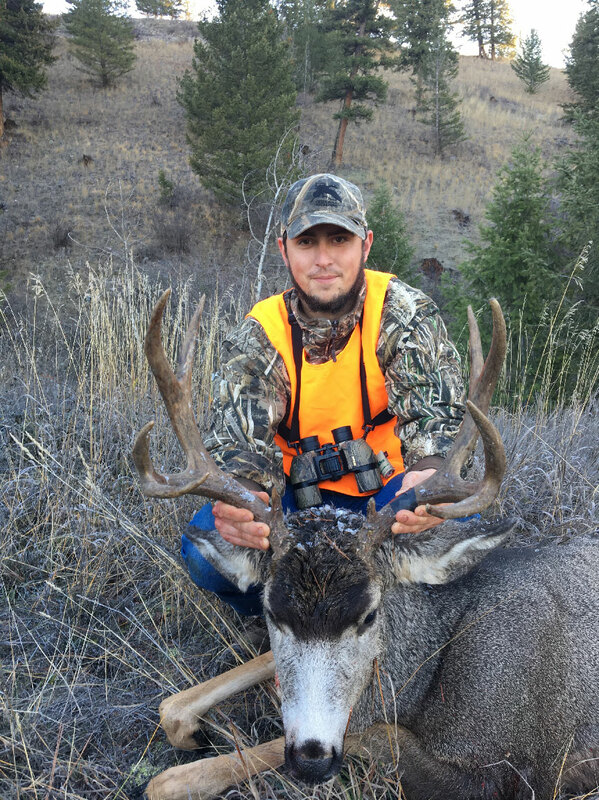 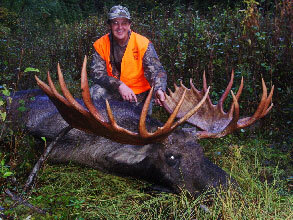 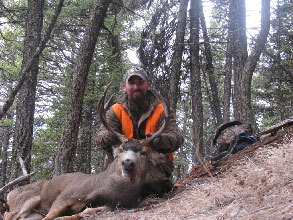 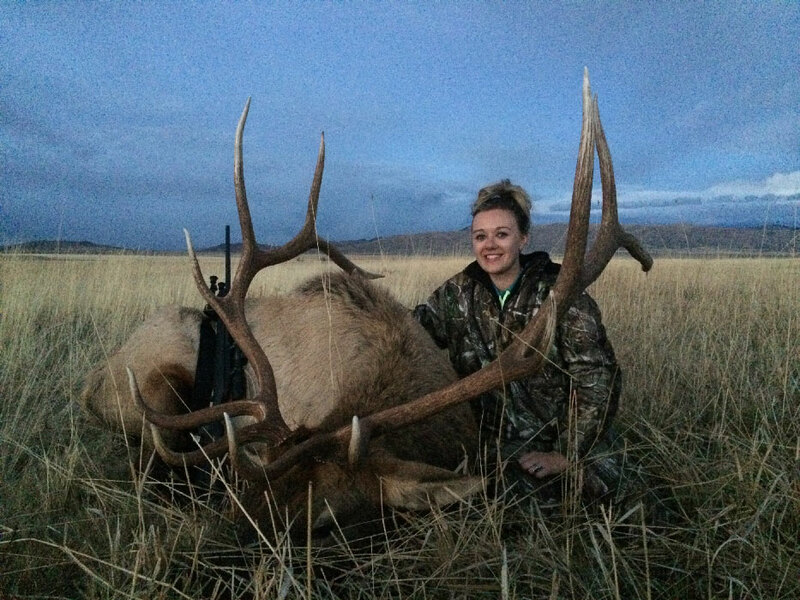 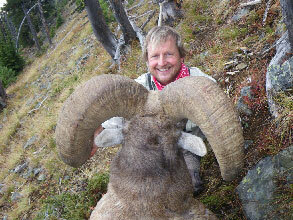 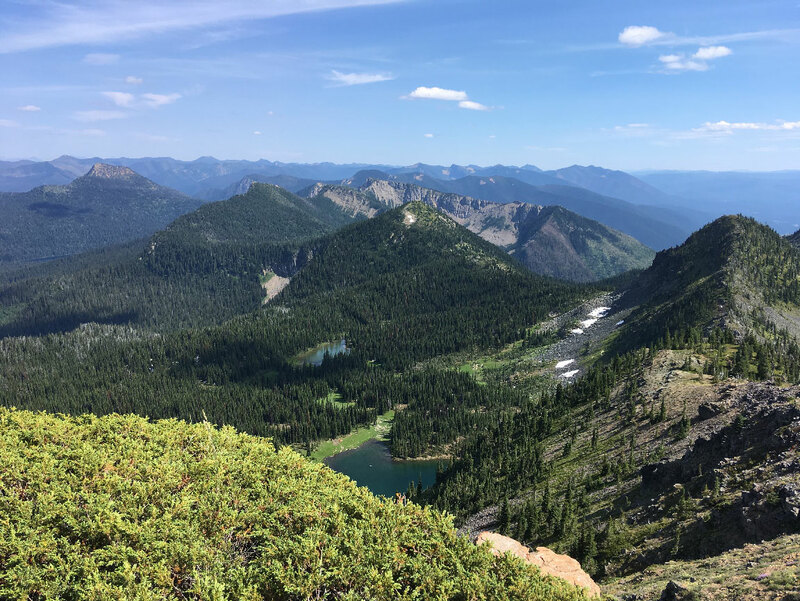 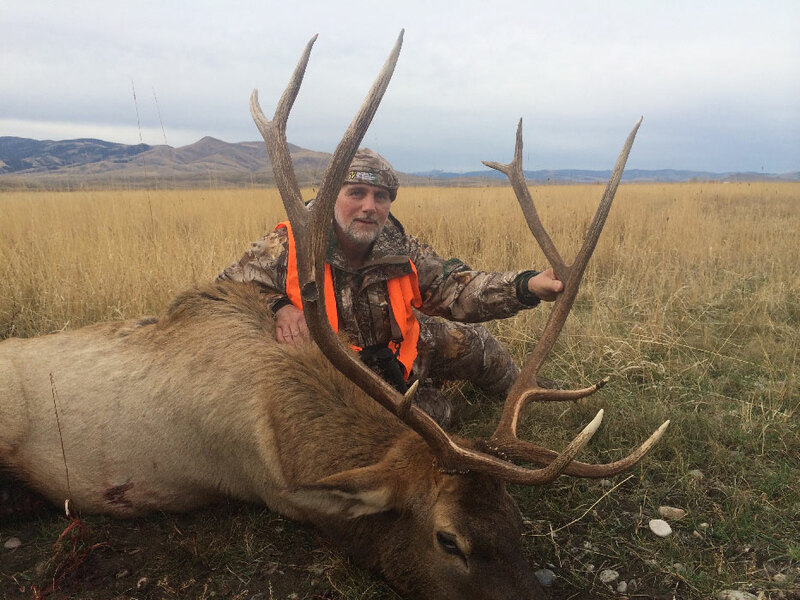 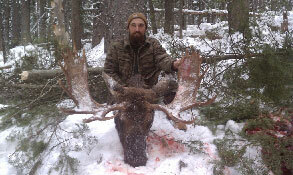 Our National Forest Deer/Elk combo hunts will take you from the dark timbered bottoms to the high mountain meadows. 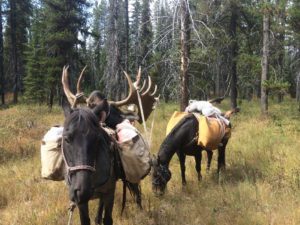 We hunt out of the lodge and hit the trails each day on horseback. 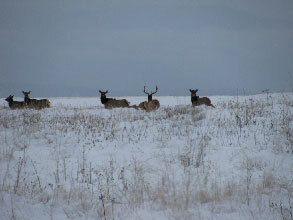 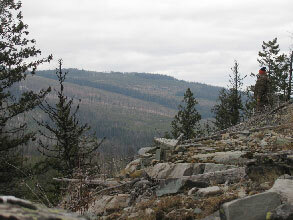 This area offers Mule Deer or Whitetail Deer along with Elk. 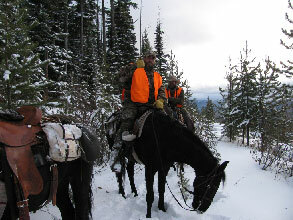 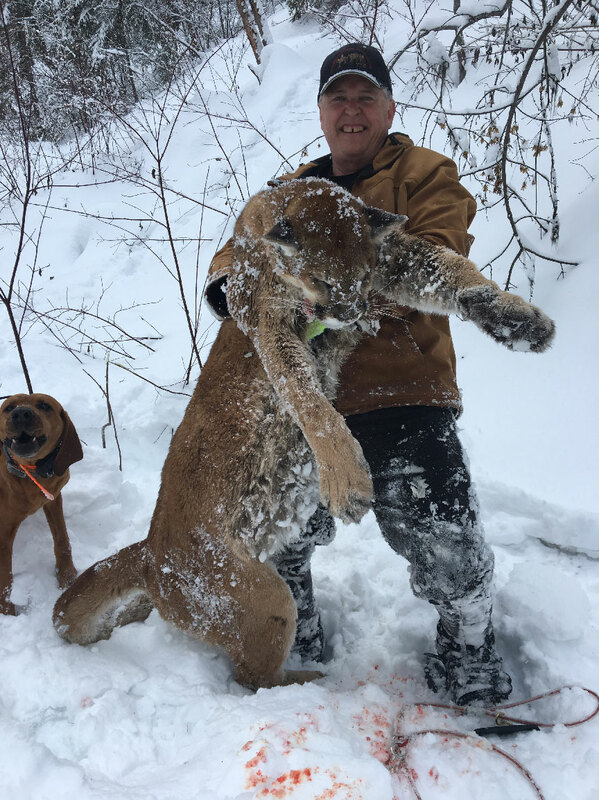 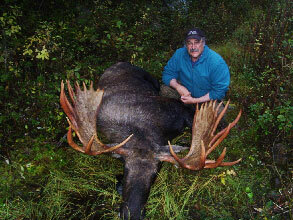 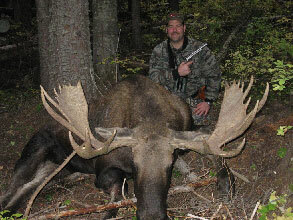 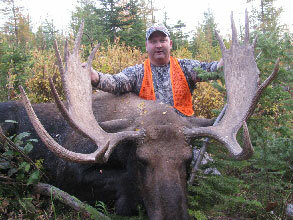 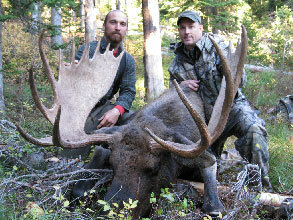 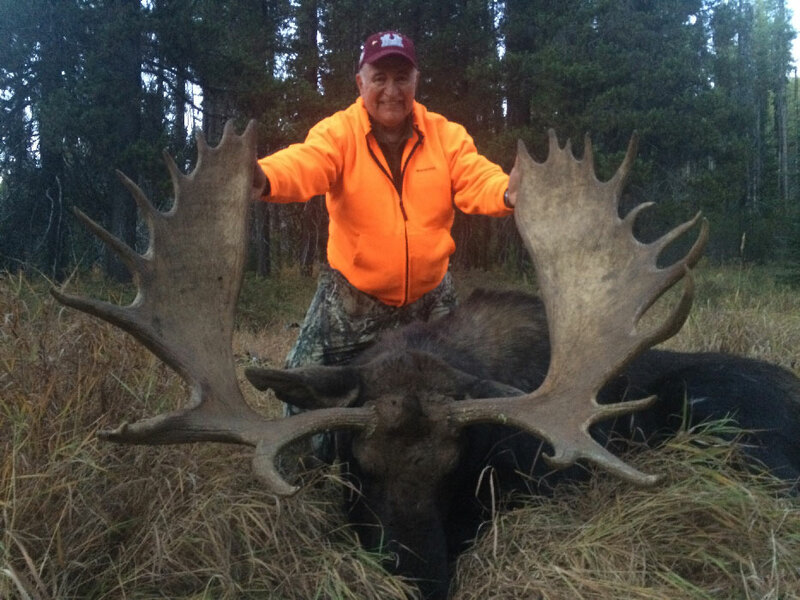 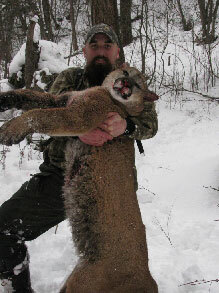 Our hunting methods vary with the time of year and weather conditions. 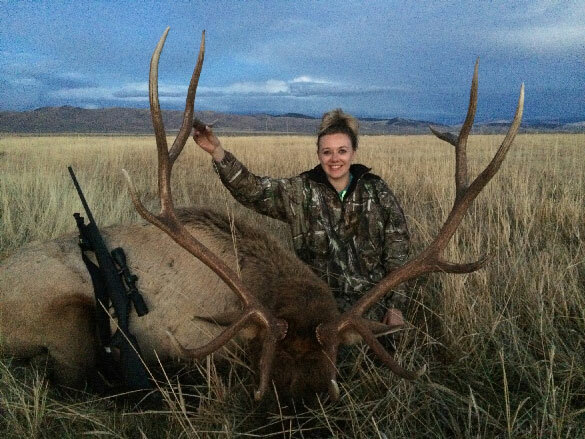 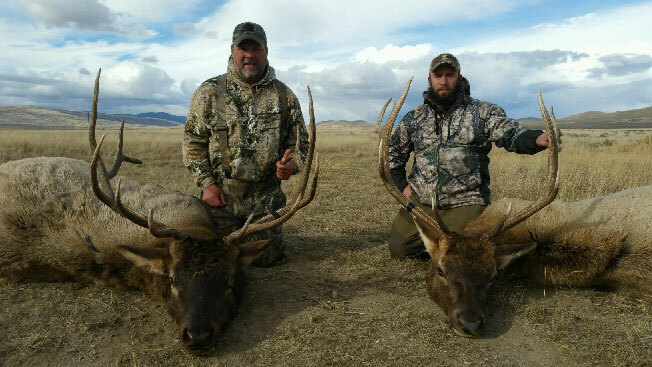 These hunts are physically demanding and your physical conditioning plays a huge role in your success. 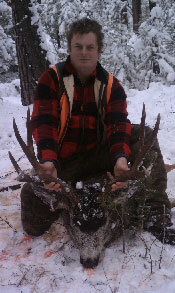 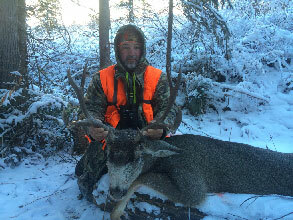 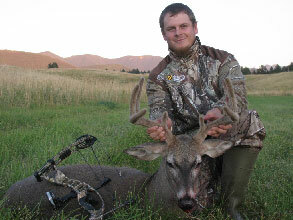 The early season whitetail hunts offer high success on great bucks. We often see numerous bucks still in full velvet. 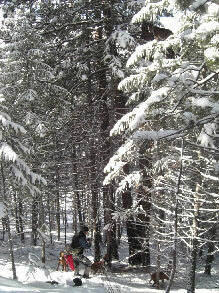 We primarily use tree stands and ground blinds to ambush these unsuspecting whitetails. 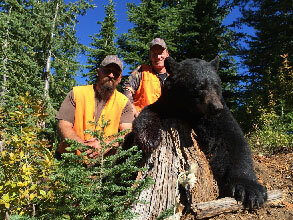 We keep hunting pressure low in order to keep harvest success high. 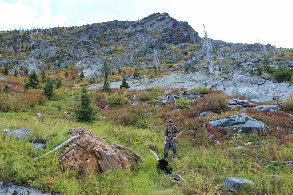 We hunt a combination of public and private land. 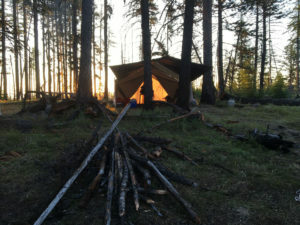 For the Kootenai National Forest. 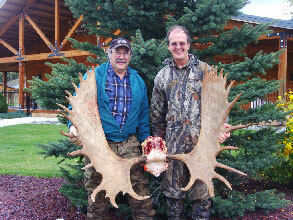 Our lodge is just 2 miles from the Canadian border. 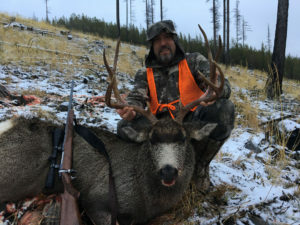 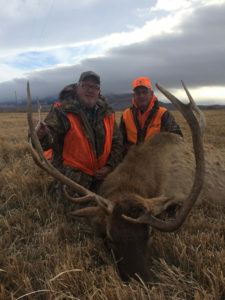 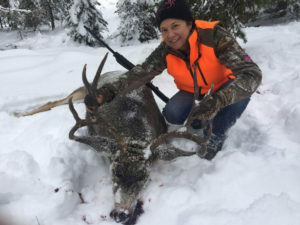 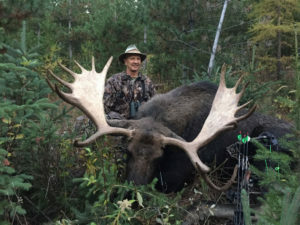 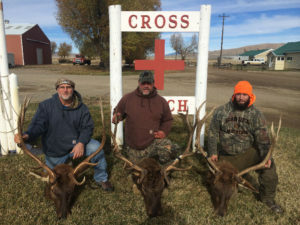 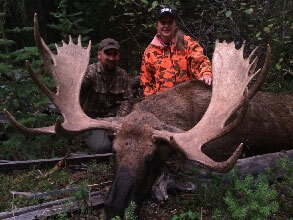 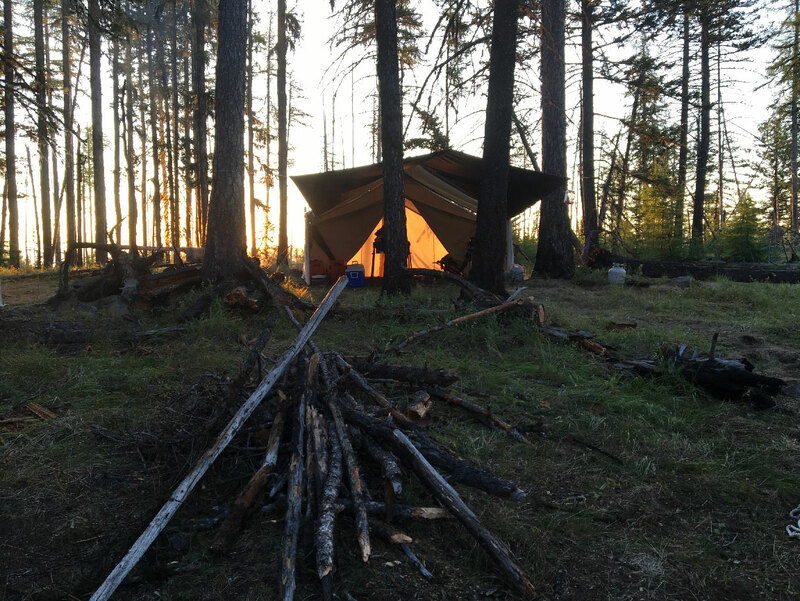 Hunters will enjoy some of the best hunting in the west along with breathtaking views and very comfortable accommodations. 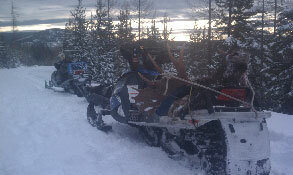 We are a full service operation. 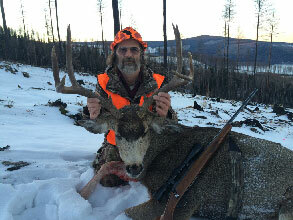 From the time you land at Glacier Park International Airport in Kalispell, MT till the time you go home, we take care of everything. 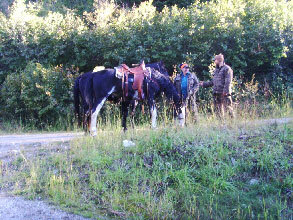 Every day begins with a hot home cooked breakfast served at the RiverStone Family Lodge. Then we pack a lunch to take with us in the field for a full day of hunting. 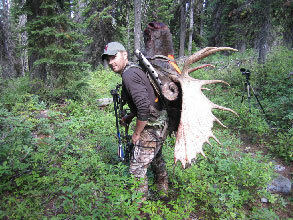 In the evening we return the lodge for another gourmet meal to finish out each day. 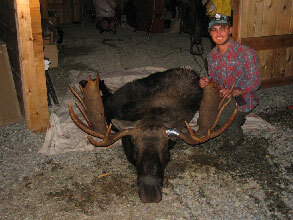 Hunters can then relax by the fire or enjoy a game of pool in the lodge.